Sri Lanka is all geared up to become the first country in the region to have complete nationwide internet coverage with Project Loon – Google’s stratospheric internet access project. According to media reports, Google has signed a memorandum of understanding with Sri Lanka’s government to launch the helium-filled, high-tech balloons above the Indian Ocean in next few months. 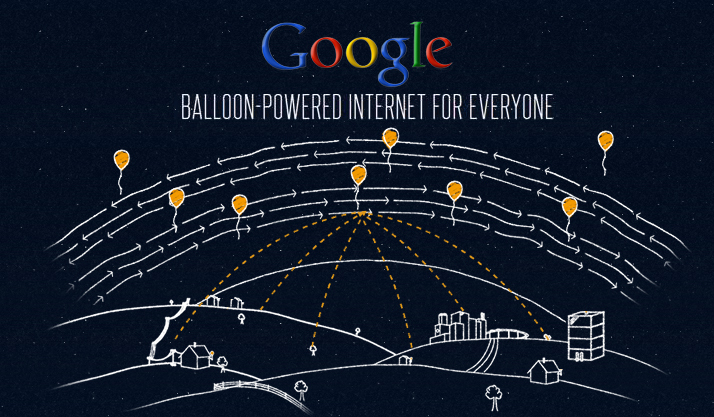 Google launched Project Loon in 2013 with an ambitious plan to provide internet access to remote and rural areas by using chain of balloons floating high in the atmosphere. “The entire Sri Lankan island – every village from (southern) Dondra to (northern) Point Pedro – will be covered with affordable high speed Internet using Google Loon’s balloon technology,” Foreign Minister Mangala Samaraweera told the Economic Times. If the project comes to fruition, the local internet service providers will be able to access the balloons, reducing their operational costs. However, despite the notion doing rounds on the internet, this arrangement between Google and Sri Lanka is not a done deal, but essentially a MOU at this point. This means both sides will be discuss how to work this out and test Google’s high flying balloons, but it’s yet to be finalized. According to AFP reports, the balloons will be in the air for 100 days at this point, with an expected launch by next March. Only over 3 million citizens have internet access in Sri Lanka, of 20 million populations. If successful, the project can dramatically change perceptions about the difficulty in providing internet connectivity to developing nations.